I've been itching to play with this challenge ever since it was posted. Why? And I don't even like the colour green? 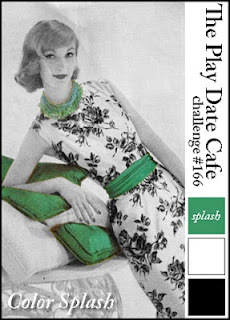 Well what intrigued me was that Pantone announced the colour 'Green' as the colour of the year for 2013 and so Play Date Cafe decided to add it to their challenge. Why I don't like green? It was my school uniform colour! Anyway, I'm going to embrace and celebrate the Pantone Green this year to overcome my fear! 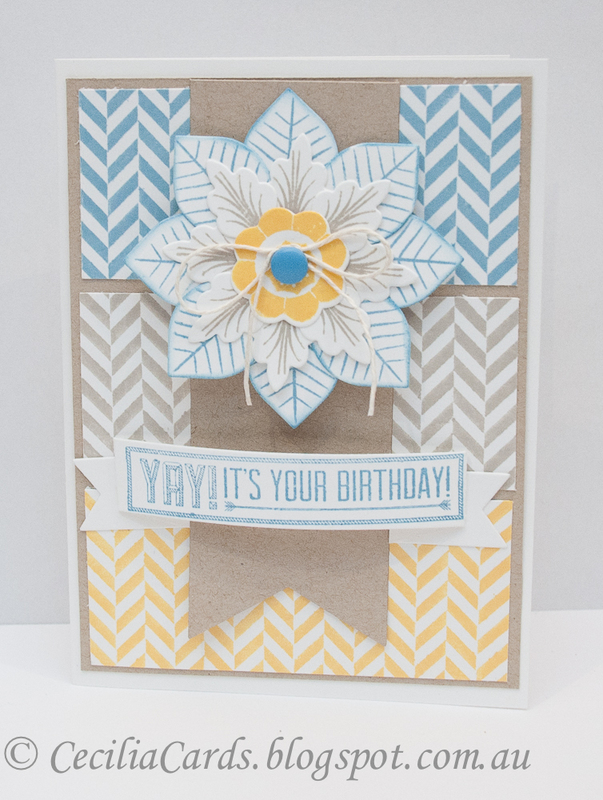 Here is my card with my favourite flower from PTI coupled with Basic Grey Serenade paper! Oh, I also used my new Fiskars stamping tool for the first time (sentiment only) - took me three goes before I got it right! You have to press very hard and walk around the whole stamp. Personally, I prefer to stamp on a telephone directory and tear out the soiled pages after each use! Anyway, practice makes better! Back with a quick CAS(E) Sketch. 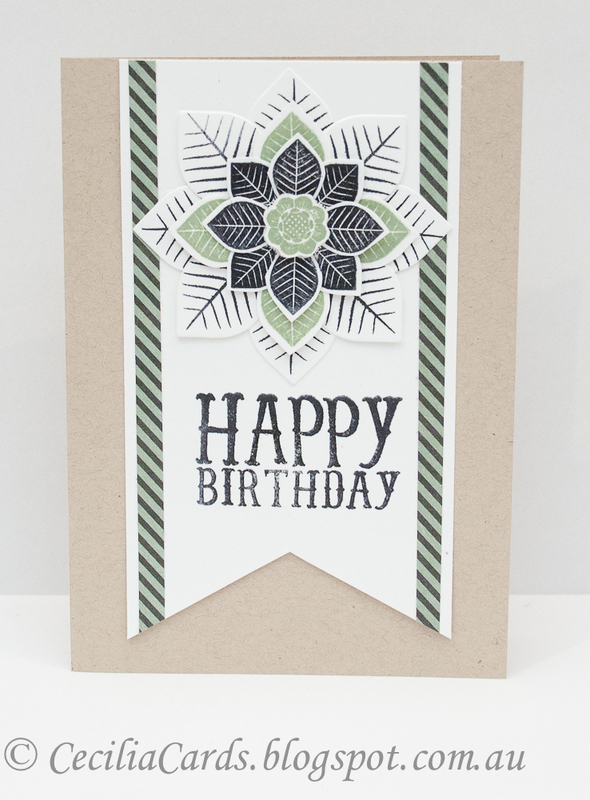 Very simple card using extra wide Washi tape and a bit of stamping! 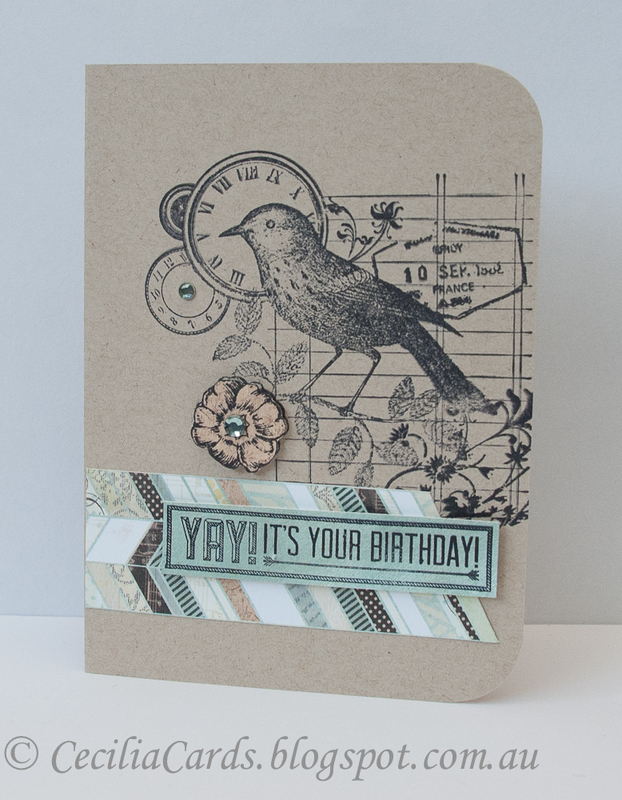 I've used the beautiful paper from Basic Grey True Love for this card. Thanks for dropping by! We've been invited to an 18th birthday party next weekend and I wanted to use my newest acquisition from Basic Grey's True Love collection. I received a prize from BG when I ordered a warehouse clearance parcel last year. I received the 12x12 papers, some chipboard alphabets, embellishments and a chipboard album last week. 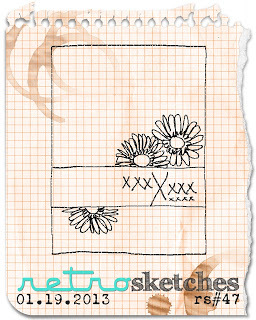 It took me ages to get this card together - such a simple sketch and so hard to pick the elements to go with the sketch. 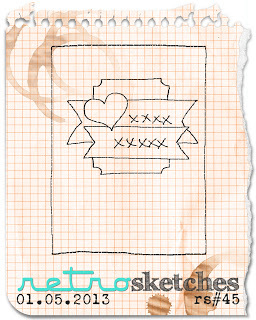 Here is my card along with the Retro Sketch #48. Thanks for dropping by! I'm back again with a one layer card which came together very easily. 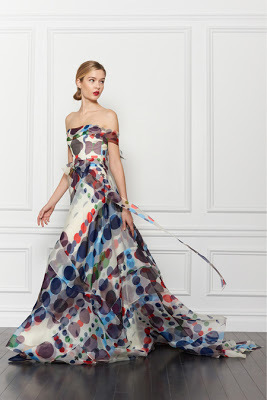 The inspiration is from Runway Inspired Challenge #28 - Carolina Herrera. 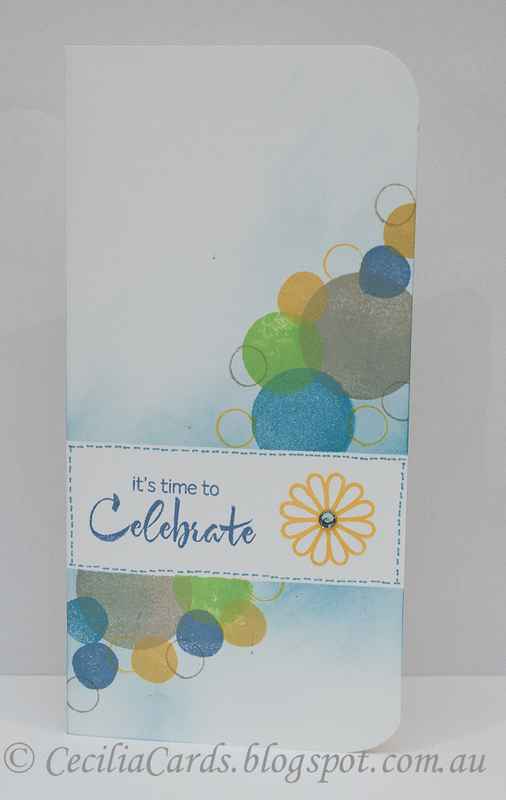 I picked colours from the dress for the card and used the Eclipse masking sheet for the first time. 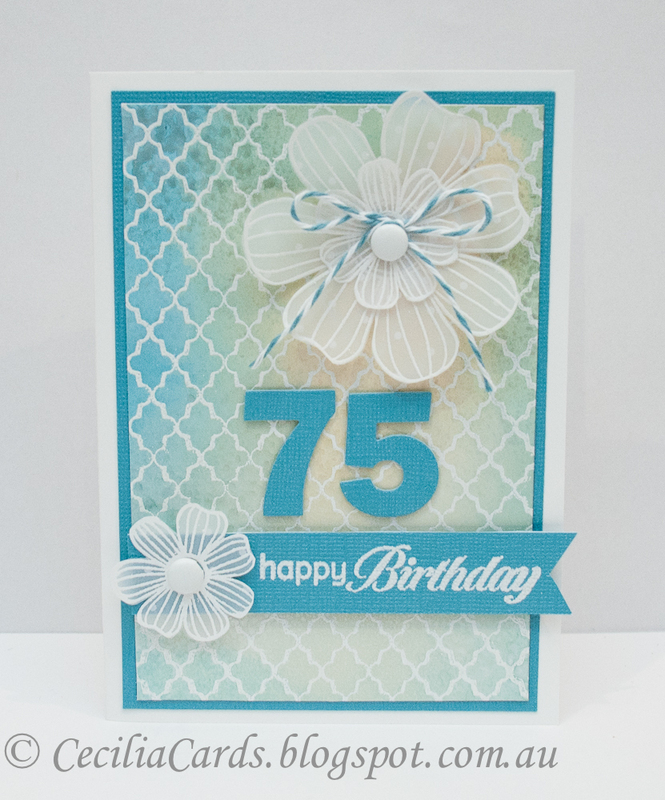 I also used an extra long card for the CAS-ual Friday Long and Short challenge and used Retro Sketch #47. 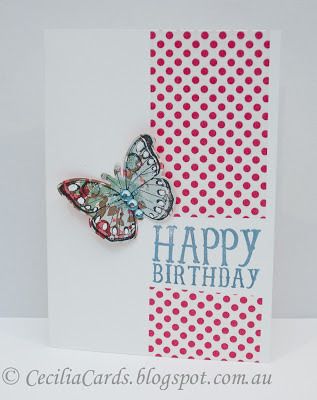 As I'm using an old Hero Arts stamp set (Many Dots), I'm also entering this card to the A Blog Named Hero's Golden Oldie challenge and Moxie Fab World Make a Background challenge. Thanks for dropping by! 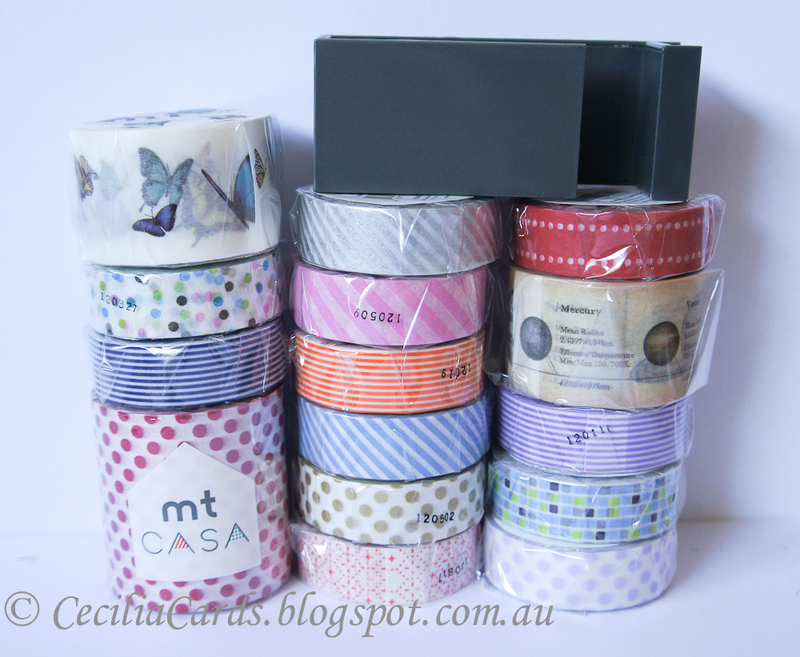 Alright, have I told you about my Washi tape addiction... Here's another card which was a publication submission reject. 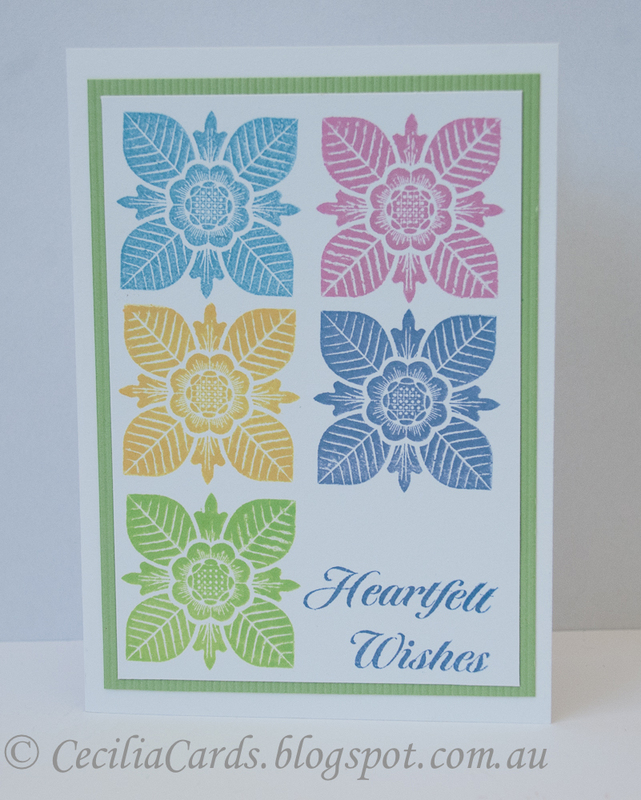 The card was dry embossed and also die cut. A word of advice, do the dry embossing last! 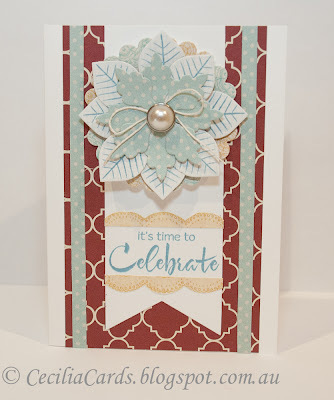 This card is for the Simon Says Stamp Use Washi Tape challenge and the Moxie Fab World Make a Window challenge. Thanks for dropping by and also a big welcome to couple of new followers! I am saddened to hear that Mona is hosting her last CR84FN challenge. 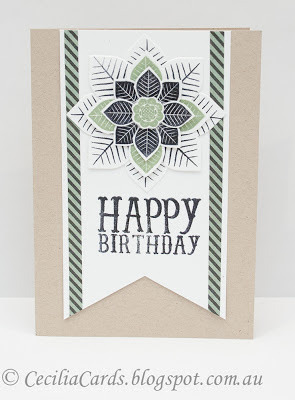 This challenge has a special place on my blog as I got Terrific Top Three for a card I submitted last year in CR84FN49 and it prompted me to start a blog. Now, 10 months later, I have submitted over 100 cards last year in challenges and publication calls. So, I've made a special effort to get a card submitted in time. 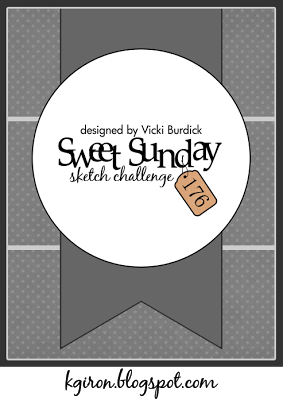 I decided to use Sweet Sunday Sketch 176 with the colours for the CR84FN70 challenge, along with my newest stamps. 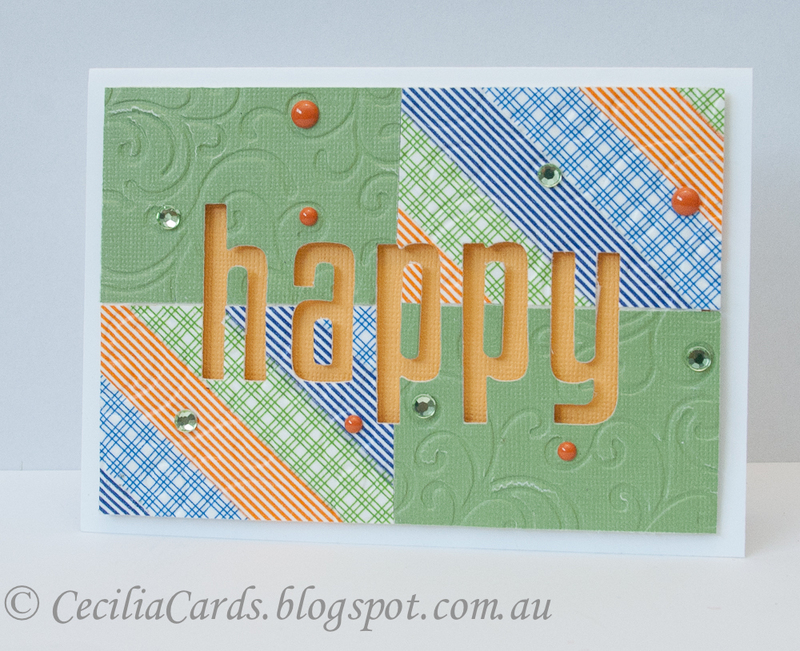 I'm also submitting this card to Moxie Fab World's Make a Background challenge and the Simon Says Stamp Herocontest on Splitcoast. I've just heard on Twitter that USPS will be increasing their international rates by 60% and it will take effect late February. This is not good news and it will mean that it will take us longer to get the newly released stamps! So I'm not too happy and will be placing some orders soon to beat the increase! I've been busy with a few publication submissions lately. This is one of the rejects which I enhanced for a 75th birthday card for my Aunty. The background was white embossed, inked with distress inks and sprayed with perfect pearls (one of my favourite techniques). The vellum flowers were also white embossed and fussy cut. I'm submitting this card into the Hero Arts January contest, Moxie Fab World's Make a Background challenge and PaperCraft's January Flickr Gallery challenge. Thanks for dropping by! When I first saw the new Hero Arts stamp with a tweed background, I had to get it. There are so many possibilities with this stamp. My order from Simon Says Stamp arrived two days ago and I've played with it a few times before I made this card today. Again in the eleventh hour, I'm submitting this card to Retro Sketches #46 , Runway Inspired Cacharel, Hero Arts January contest and the Simon Says Stamp Herocontest on Splitcoast. You'll see many more cards with this new stamp! Thanks for dropping by! 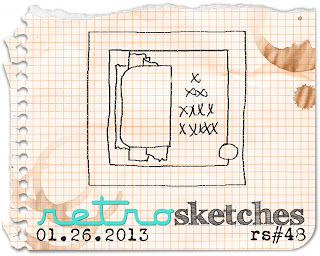 I couldn't let the Retro sketch challenge go this week without submitting a card. So in the last hour, this is the card I made. 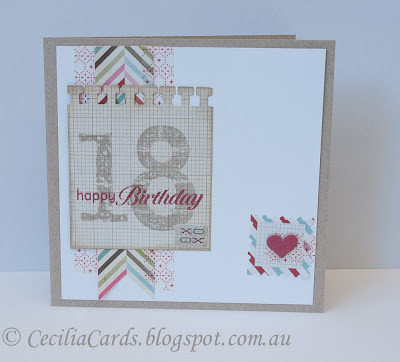 My cardstock supplier has finally got Neenah Desert Storm in stock now, so I'm stamping on it for the first time. I'm also submitting this card for the Hero Arts January contest - Try something new (Neenah cardstock and Basic Grey Serenade) and Basic Grey's New Beginnings/Something New challenge. Thanks for dropping by! It's difficult when we have to make a sympathy card. I wanted to make a cheery Sympathy card for someone who passed away just before Christmas. He had a long battle with cancer and would always bounce back after each bout of chemotherapy. This card is to celebrate his life and his final release from all the suffering. I was reading Nicole Heady's blog on PTI's Make it Monday and knew this is what I wanted to make. 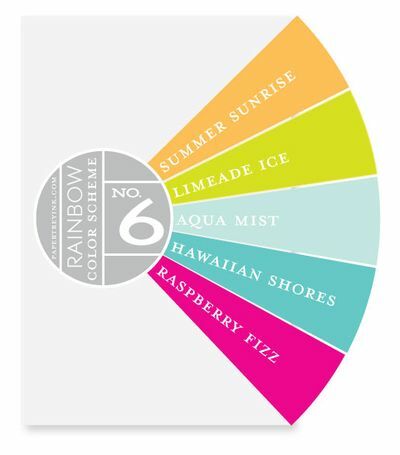 I've used colours from HA's mid tone inks to match the rainbow set number 6 as I do not have any PTI inks. 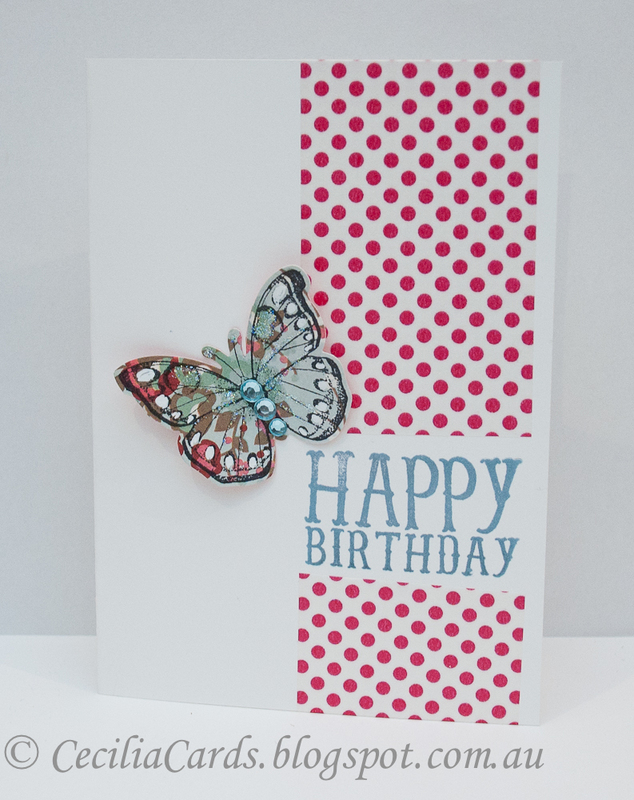 I'm also entering this card to Moxie Fab World's Make a Background challenge. Here is my card that I'm going to post tomorrow, thanks for dropping by! 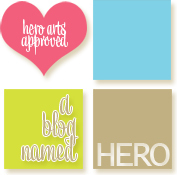 There has been a lot of chalkboard inspired cards on Pinterest and on various galleries. I have been wanting to try out this technique. 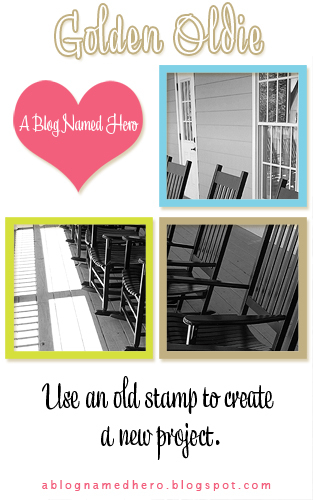 This is the original post by Betsy Veldman which started the chalkboard trend. Sounds easy? I thought I'll give it a go with the current MFT Guest DT sketch challenge. It was easy to do, but I didn't have much black smooth paper, hunted high and low and found some! 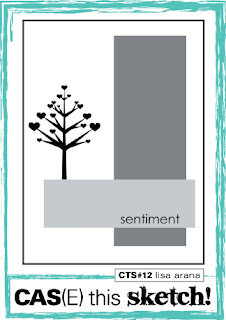 I don't have any vertical sentiments and I had to flip the card around to use the sentiment I wanted to use. I also repeated the bottom of the sentiment and added it to the top to even it off. 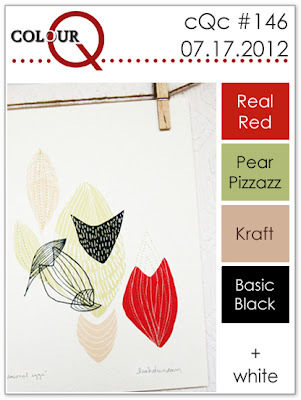 I'm also entering the card into this week's ColourQ - Challenge 170 (Choose an Colour Palette). I chose cQc #146, although my card does not have a lot of green, the other main colours are there. Anyway here is the result! 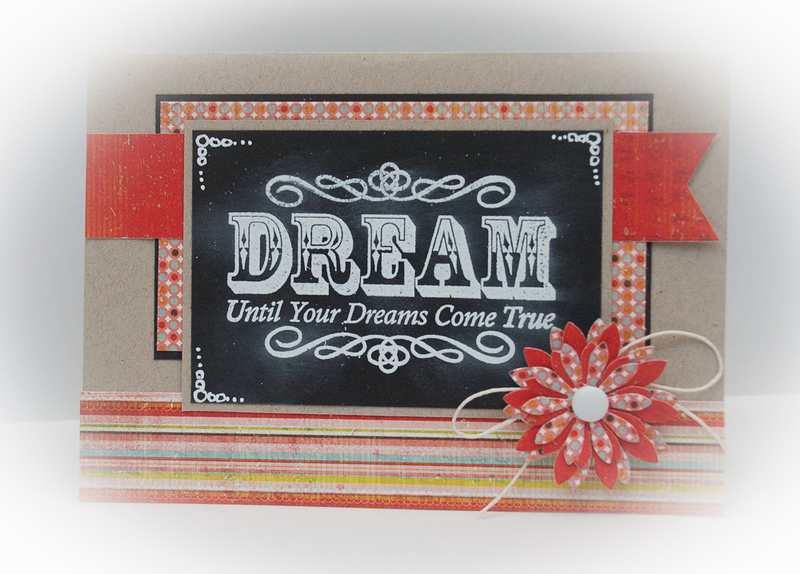 This sentiment in this card reflects my thoughts - I'm a dreamer.... One day, it's going to happen... I can craft full time and don't have to work for a living!! ... until my dreams come true... 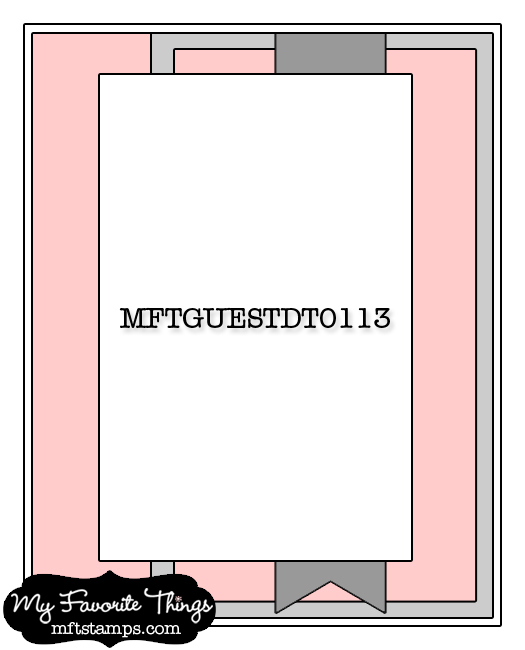 I would love to be a guest DT!! I would love to win $200 worth of MFT products!! Some of my regular followers will know that I won $100 worth of MT wash tapes before Christmas with this card. I made a 'Thank You' card for Sam from Paperpoint who picked my winning card from the November washi tape contest on Facebook. This card was made with some of my winnings and some tapes already in my stash. Paperpoint is my favourite shop to visit in South Melbourne. 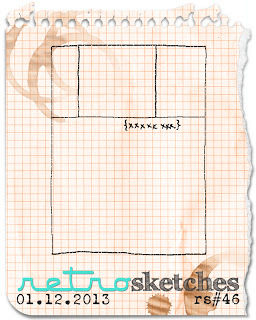 I get all my card stock (they are now stocking Neenah Desert Storm) in A3 sheets and cut them down to size. 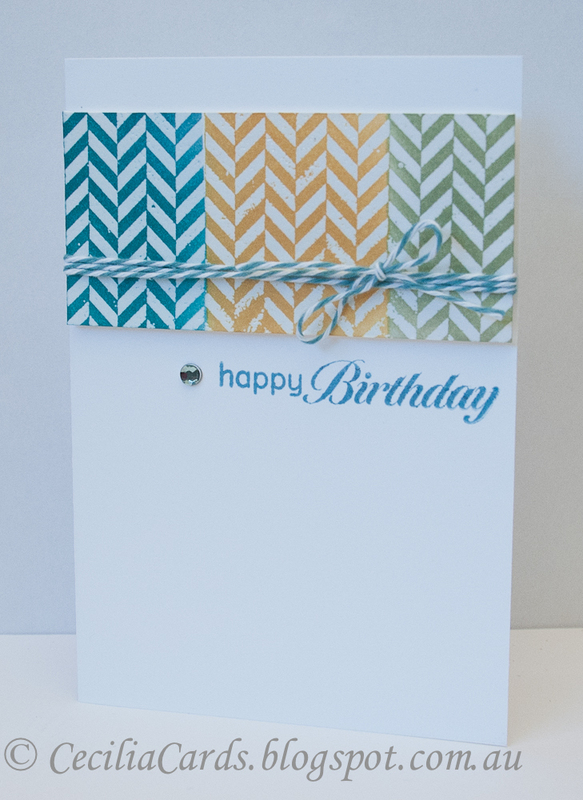 They also have a great range of ribbons, card stock and patterned papers! I love going there!! 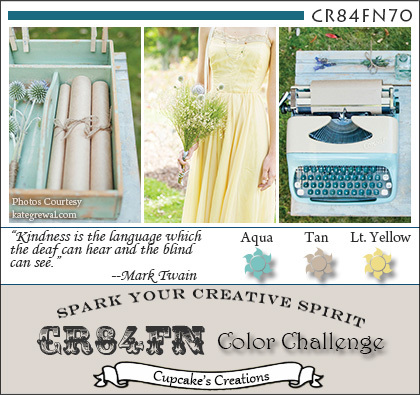 CAS-ual Fridays have just announced their new challenge today - CAS Thank You card! 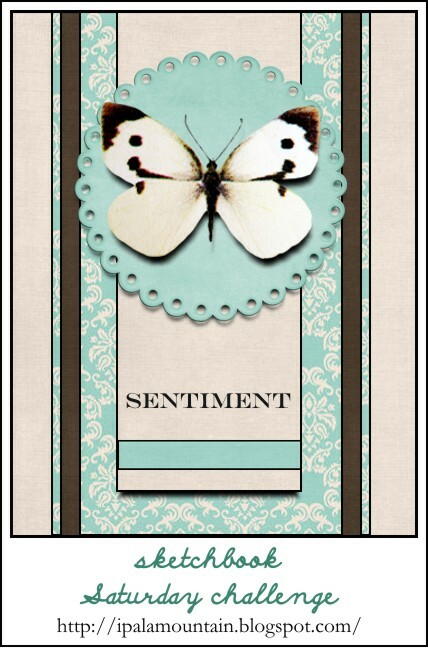 The sister to this card (the negative) will be submitted for a magazine publication as I like it a lot! 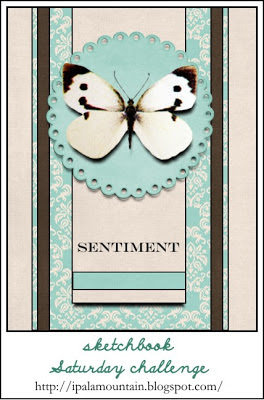 This card is also submitted for Simon Says Stamp's Use Washi Tape Challenge! I couldn't resist the Moxie Fab World Tuesday Trigger and had to wait until the craziness of Festive Season settled. The trigger photo beckoned me to use MME All is Bright (believe it or not, I did not use it for any Christmas cards) and BG Paper Cottage. I wanted to use the PTI Lovely layers and combine it in a sketch from Random Acts of Creativity's Sketchbook Saturday Challenge #86. My card is below and the trigger photos below that. 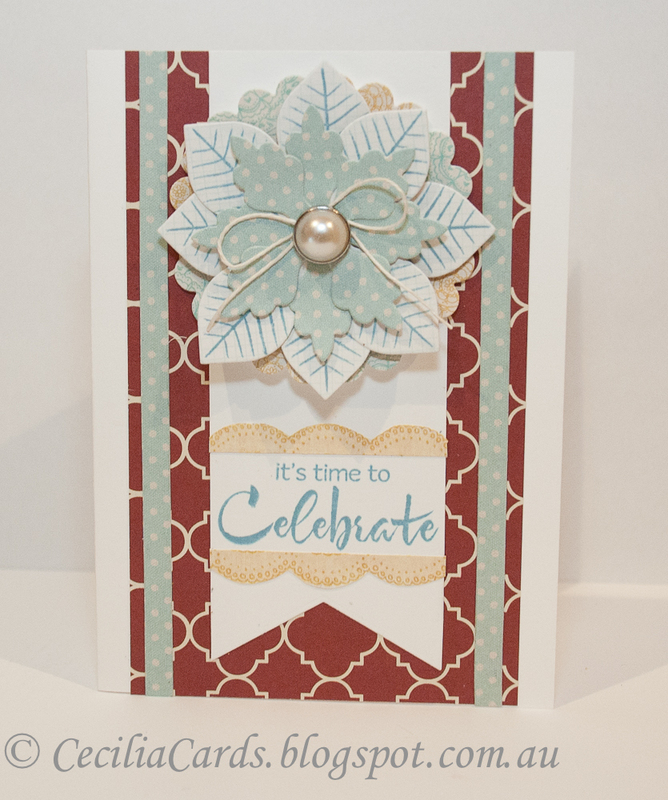 The sentiment I used was from a new HA stamp set I just received, so I'm entering this card to the HA January contest and A Blog Named Hero's New Year New You challenge. 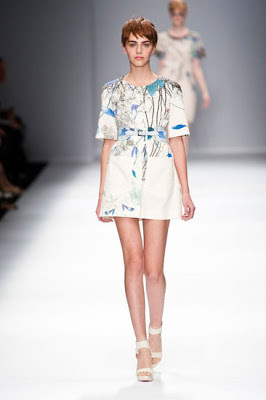 Thanks for all the lovely comments on my previous blog!